Mario, Make Me a Model 10th Anniversary Winner! On October 24th at our Designer Runway Show Mario announced Anna as our 2018 Mario, Make Me a Model Winner! 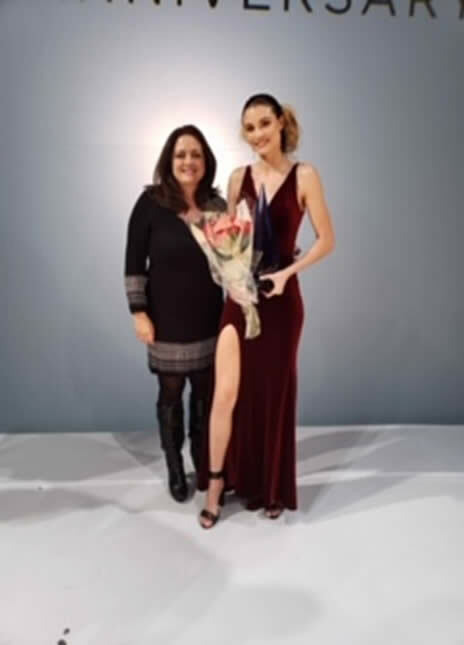 On October 24th Monica Seybold’s daughter, Anna, was chosen as the winner of the Mario Tricoci- Make me a Model competition held in downtown Chicago. Anna is 17 years old and worked very diligently the past 6 weeks to be successful in this competition. The Pancor Family is so proud of Anna! We are looking forward to watching her road to success and to one day, when she is walking the runway in Paris, to be able to say “We knew her when”.